Rocking Birthday Cake, a photo by CAKE Amsterdam - Cakes by ZOBOT on Flickr. 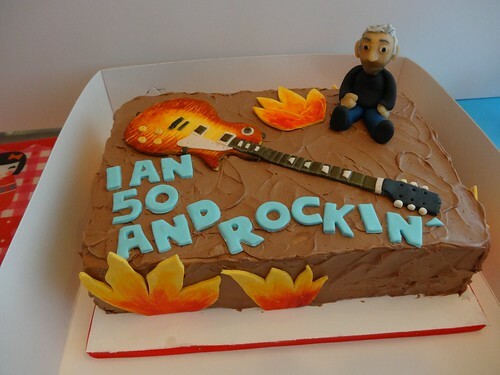 Here is Ian and his rockin' 50th Birthday cake! Ian like Gibson Les Paul guitars and flames! Flavor : Mexican Chocolate Cake (rich chocolate cake infused with spices - chili, cinnamon and ginger) with chocolate buttercream and fresh raspberries.